The leader of the Official Opposition is calling out Prime Minister Justin Trudeau's credentials handling the North American Trade Agreement file, less than a month before negotiations with the U.S. and Mexico get underway. The leader of the Official Opposition is calling out Prime Minister Justin Trudeau for "mishandling" the North American Free Trade Agreement file, less than a month before negotiations with the U.S. and Mexico get underway. "I've always been worried about Justin Trudeau's attitude towards trade. We saw during the softwood lumber negotiations that he failed to get an extension while president Obama was still in office," said Conservative Party Leader Andrew Scheer in an interview with CBC Radio'sThe House. "He seems so focused on a trade deal with China — that nobody wants — that they're forgetting, and not prioritizing, a trade deal that everybody needs. They're not working hard enough on this NAFTA [file] and they're trying to confuse issues now. So I think they're mishandling the trade file." Since U.S. President Donald Trump took office, Canadian politicians of all stripes and levels of government have been booking flights south to pitch the merits of Canada's trading relationship to U.S. lawmakers. "The government and everyone, whether it's MPs, premiers, mayors, legislators...I think it needs to be a full-court press to make sure that everyone here understands the importance of that relationship," then interim Conservative leader Rona Ambrose said from Washington hours before Trump took his oath. Since then, the prime minister, cabinet ministers, parliamentary secretaries, premiers and provincial and territorial ministers, parliamentary committees and other parliamentarians have either visited the States or engaged with a U.S. official 175 times, according to a spokesperson from Foreign Affairs Minister Chrystia Freeland's office. "To date,‎ the Conservatives have been helpful in presenting a united front to ensure a good deal for the middle class and those working hard to join it. We certainly hope this continues," said Adam Austen. 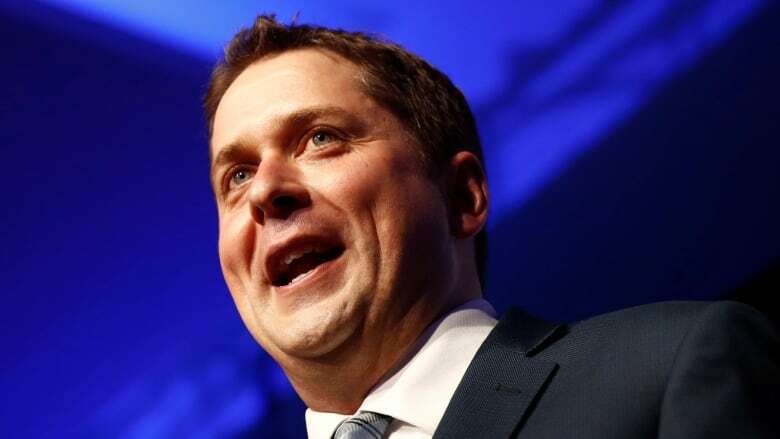 Scheer said his party will continue to represent a united front when Conservative members of Parliament are on trade trips, but it's a different story on home soil. "When it comes to the way that the Liberal government is handling it, when we're talking to Canadians about how these things should be handled, we will always hold the government to account. That's our job," he said. Speaking to reporters from Nova Scotia on Friday, Trudeau said he's willing to work with different parties on NAFTA. "The issue that I've always made clear is, that for me, domestic politics stay in Canada. When I cross outside of our borders, I speak for all Canadians and I leave the domestic squabbles at home," he said. Freeland and Canadian trade officials will appear before the House of Commons Standing Committee on International Trade on Aug. 14 to review Canada's priorities for NAFTA renegotiations, which kick off in Washington two days later.